After launching its revolutionary mobile number money transfer smartphone app Pingit last week, UK bank Barclays saw more than 20,000 downloads in the first two days, leaving its rivals scrambling to launch their own mobile services. 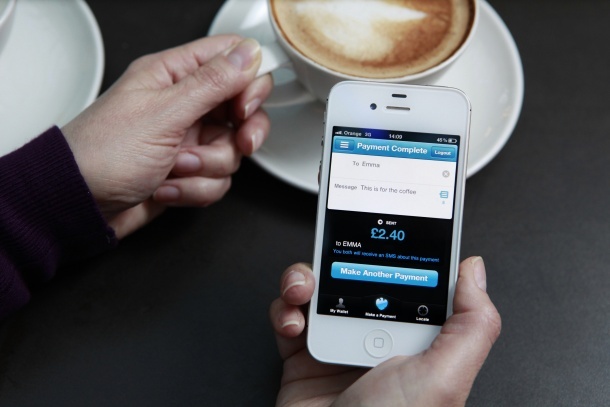 UK banks including Royal Bank of Scotland, which owns NatWest, and Lloyds Banking Group are reported to be looking to launch a similar service to Pingit. Barclays launched its own service that jumped ahead of a proposed industry standard by the Payments Council, which is said to be more than a year away from seeing the light of day. The service first requires a bank customer to link their current account with their mobile number, enabling payments to be sent directly to that account with just a phone number for reference. To send funds, users can download the free Barclays Pingit app (available on iOS, Android and BlackBerry) or sign-up to receive mobile transfers by registering online. Each transaction is protected by a five-digit passcode, which is set by the user, and transfers can be between £1 and £300 with a maximum of £5,000 per day. The service is aimed not only at helping friends and family send payments between accounts, small business owners will also be able to register numbers on the service and receive payments for goods and services, without the need for a credit card machine.